Today I'm checking out Blue Moon's Pacific Apricot Wheat. Brewer's Select, Crafted With Ripened Washington Apricots. I love that they stick it to the hard-core craft beer community, using their words! 5.6% alcohol. 178 calories. 16.4g carbs. 0g fat. 1.2g protein. Wow! Huge apricot aroma, super ripe and sweet. Super sweet apricot flavors come first. Some wheaty tanginess follows. Syrupy texture. 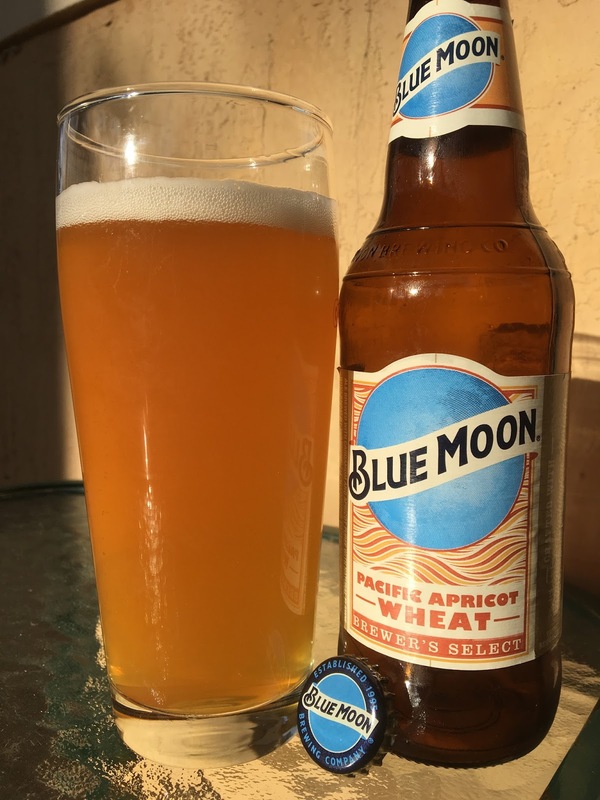 While the apricots taste delicious, this beer gets a "Capital B" Blech for its overly sweet flavors and terrible syrupy texture. There was just no answer for either. I bet this beer would work in some recipes for someone with cooking ambitions!